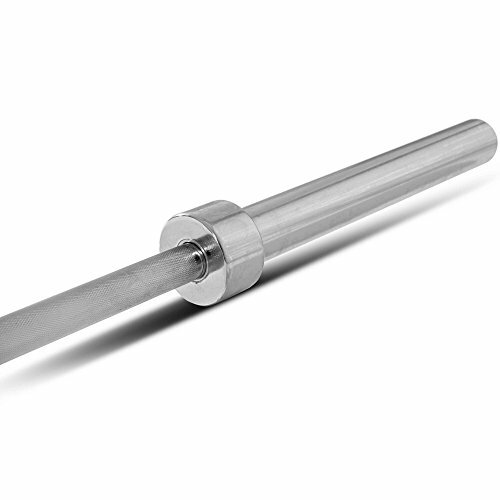 The Titan Fitness 86" Olympic weight bar is sturdy and convenient enough for a variety of exercises in your homegym. The 2" diameter bar fits Olympic weight plates and has a maximum weight capacity of 700 lb. The bar's grip area measures 30mm in diameter and has a knurled handle for extra safety to help prevent slipping. You can use it for bench pressing, bicep curls, and more. ECONOMY: Recommended for home-use free weight exercises. Do not drop or throw.